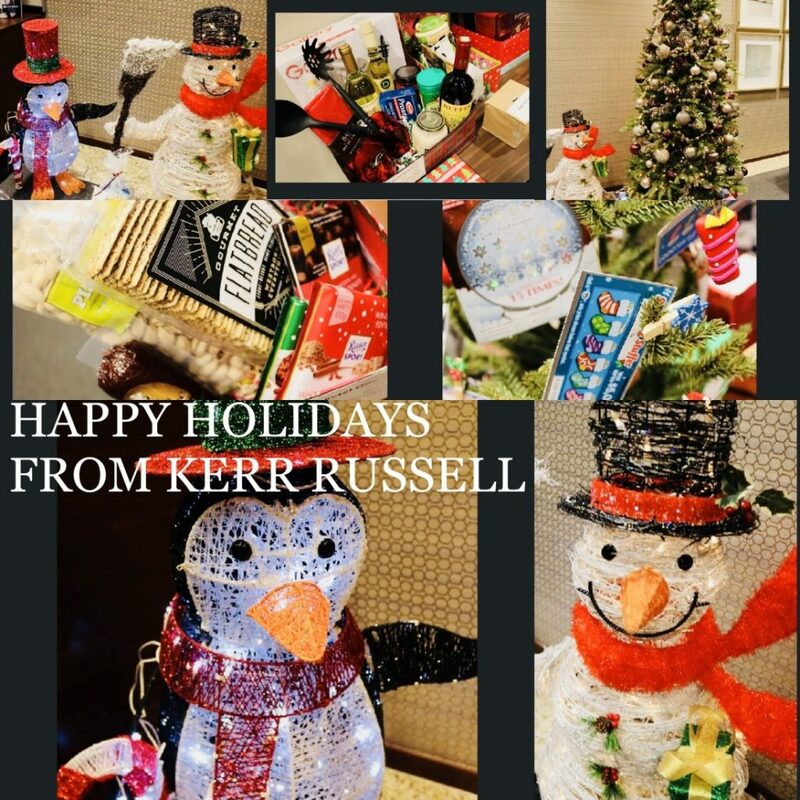 One of our traditions here at Kerr Russell is to hold a holiday raffle to benefit three local charities as well as to conduct a toy drive for local children. This year’s raffle (many of the beautiful and festive prizes picture here) raised a record total of $3,450 which will be divided equally among three organizations: Capuchin Soup Kitchen, Wigs 4 Kids of Michigan, Inc., and Ronald McDonald House Charities of Ann Arbor. Throughout the year, our administrative support team collects money from office recyclables which is then used by them to purchase gift basket items. The revenue from these gift baskets (as well as home-baked cookie trays) is matched by the firm’s partnership and divided among these charities. Our “Snow Pile” toy donations will go to Children’s Hospital of Michigan. Happy holidays, and thank you to our generous team members who give so much of their time and treasure every year for these important causes.